New Delhi, March 24: Delhi Daredevils have been re-christened Delhi Capitals, and hours before their opening game in the 12th edition of the Indian Premier League (IPL), the JSW and GMR co-owned franchise on Sunday launched their official anthem for the upcoming season of the cash-rich league. The anthem captures the vibes of the city with its lyrics, which have also been written by Trivedi. 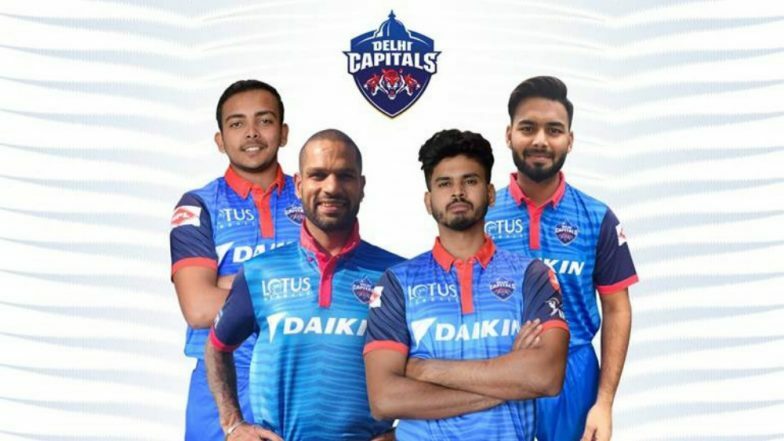 The video features most of the iconic locations of the capital which play host to the Delhi Capitals' fans and players, who can be seen enjoying the beats of the anthem. Ricky Ponting Delivers a Pep Talk to Team DC Ahead of their Match Against MI in IPL 2019 (Watch Video). Chaahein jeete. Chaahein haare. O Dilli re, tu #RoarMacha!